The New Yorker recently published an interesting piece on how the new abortion law in New York—the Reproductive Health Act—will change things regarding what is and is not considered to be a crime when it comes to women’s reproductive rights, and what it won’t do. While abortion was legalized in New York in 1970, it has always still been regulated in the criminal code and it remained a crime for a woman to obtain an abortion after twenty-four weeks of pregnancy unless the mother’s life was in immediate jeopardy—even if the child was suffering due to medical issues or was unviable. For nearly a decade, New York lawmakers have been trying to pass a law to remove abortion from the state’s criminal code and codify the protections provided by Roe v. Wade, which was decided after New York’s 1970 law went into place. Without it, women who needed an abortion after they were twenty-four weeks along, regardless of the reason, had to travel out-of-state to obtain one. Late-term abortions have always been controversial in the U.S. even though they are extremely rare and many of them are done not because the woman changes her mind about her pregnancy, but because serious medical conditions are discovered late in the pregnancy that would make life impossible or near-impossible for the child. Still, the fact that most states restrict abortion in the legal code reflects the belief that the purpose of some abortions is to kill babies and it’s the job of the law to prevent that. Many point out that, instead, abortions should be regulated medically because circumstances conspire to make late-term abortions necessary and that it is the women and their doctors who are in the best positions to determine when those circumstances warrant performing an abortion. What Does New York’s Reproductive Health Act Do? The Act effectively fixes New York’s law to bring it in line with Roe v. Wade; however, although it passed the Assembly in 2018, it was blocked from going to a vote by the Senate Health Committee. With Roe v. Wade potentially at risk of being overturned at the U.S. Supreme Court level, given the makeup of the Court, many are now pushing the New York Legislature to hold a special session to vote on the Act. 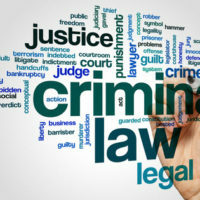 If you have been accused of violating an outdated and controversial law in New York, contact our experienced New York criminal defense attorneys at the office of Phillip J. Murphy for a free consultation to find out how we can help. We have been defending those accused of crimes for more than 25 years, and remain dedicated to standing up for our clients’ rights.